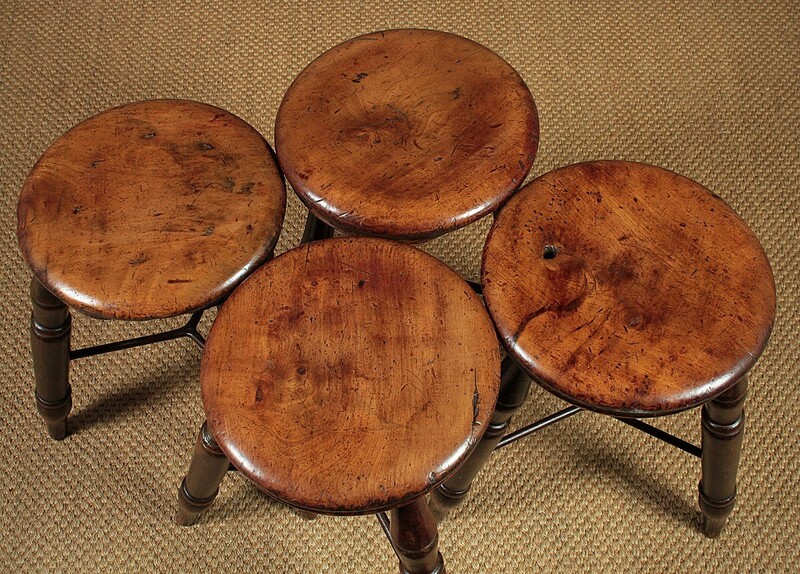 Set of Four 19th.c Oak & Fruitwood Kitchen Stools. Delightful set of four mid 19th.c. 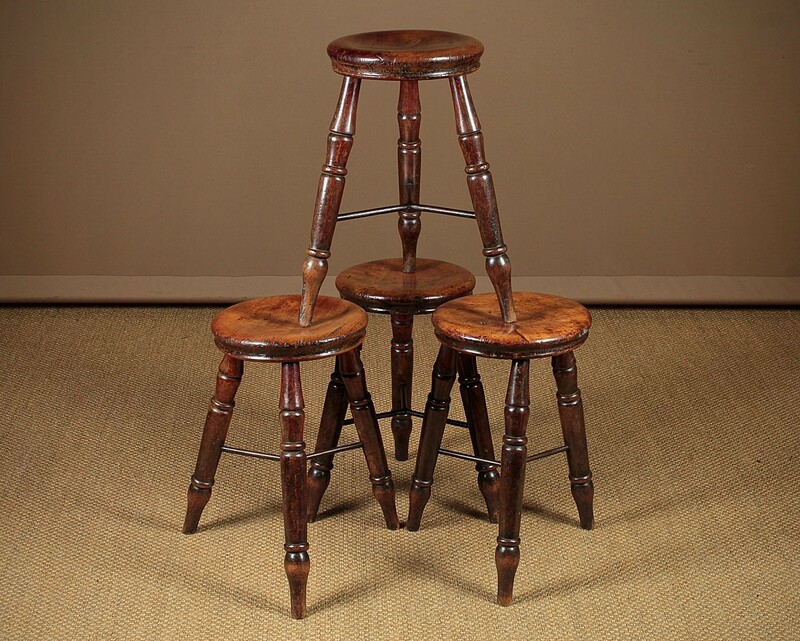 kitchen stools c.1850. 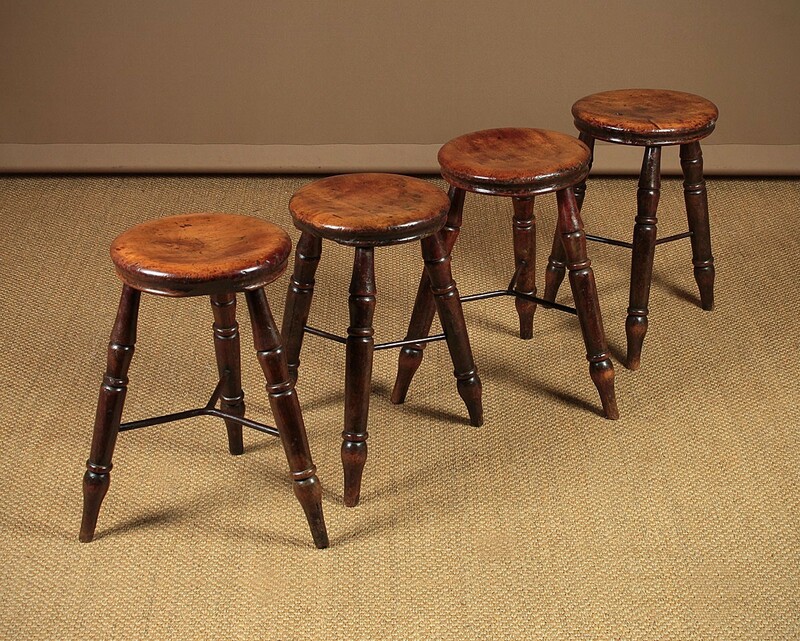 11½" diameter seats turned from 2″ thick slabs of fruitwood with dished tops and moulded edges. 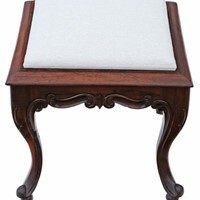 Raised on three turned oak legs joined with very unusual iron stretchers. Excellent condition, with some old wear but very solid and sturdy with particularly good colour and patina to the seats. 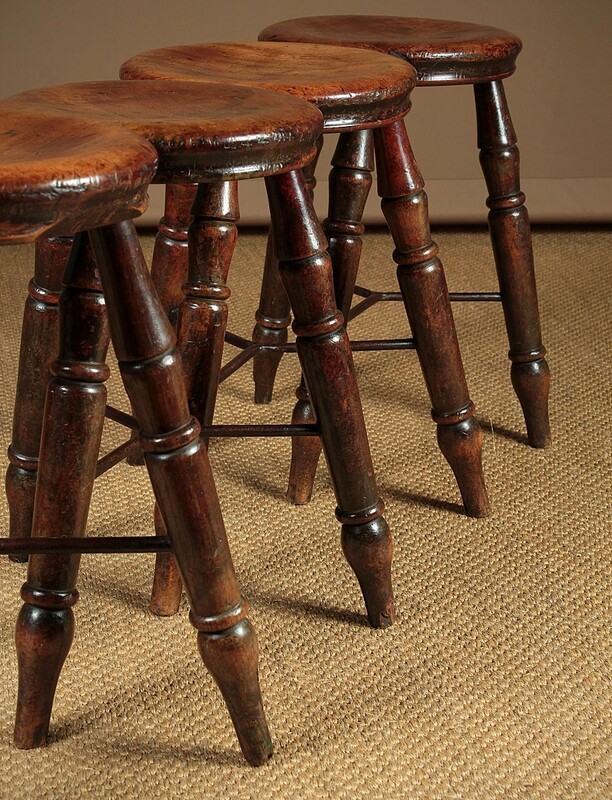 Owner Nicky Collinge runs Collinge Antiques, has been dealing in antiques for over 30 years. 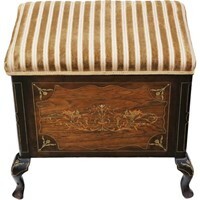 They are based in a large warehouse showroom in Llandudno Junction, North Wales, where they have an extensive and ever changing stock of genuine antiques. As well as furniture from Georgian to Edwardian periods, and a special interest in Welsh pieces, they regularly deal in clocks, barometers, glass, silver, mirrors, militaria, paintings, bronzes, porcelain and have even sold vintage motorbikes and tractors! Large Early 20th.c. 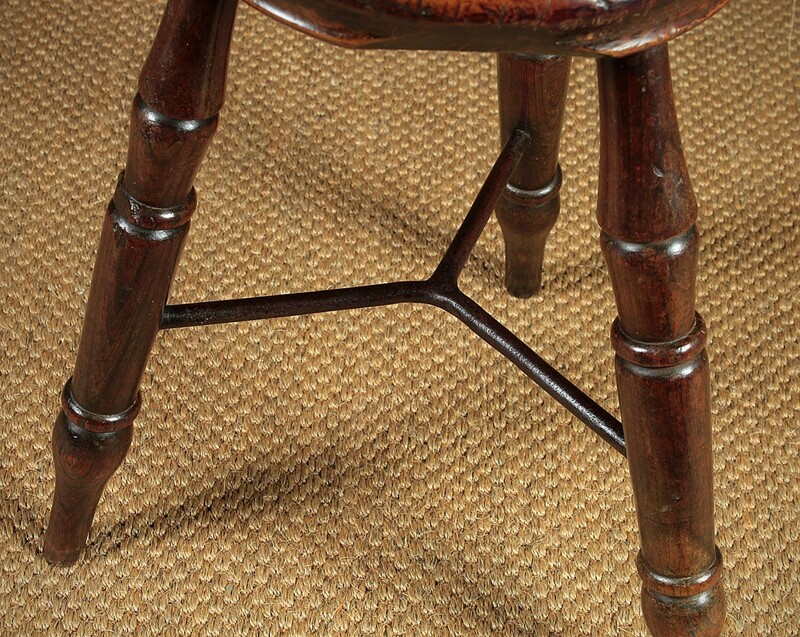 Oak Stool c.1930.